Brain malfunction. 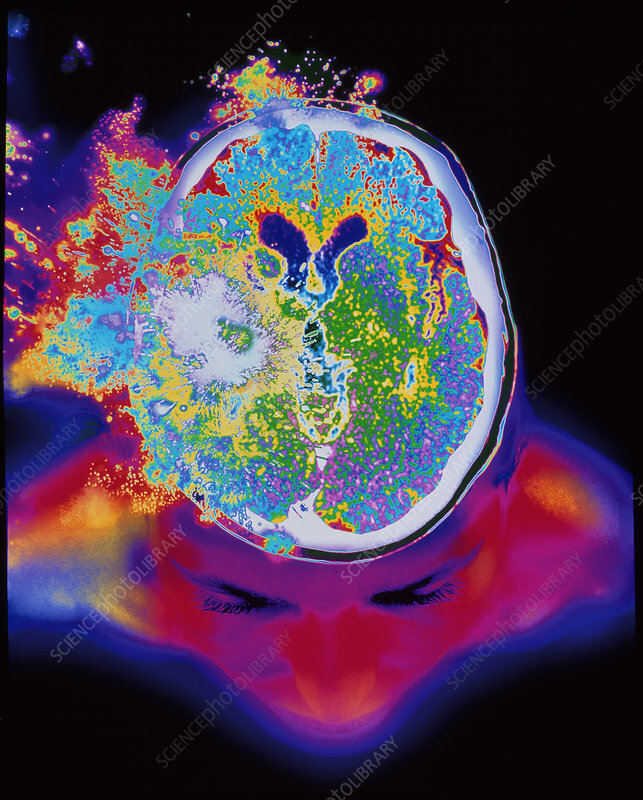 Computer artwork depicting an exploding brain in a woman's head (as seen from above). The brain has been sectioned horizontally and imaged by a Magnetic Resonance Imaging (MRI) scanner. The scan has then been superimposed on the head of a woman in the region of the brain. On one side an explosive effect is visible within the cerebrum, which may represent any of a number of brain disorders or disease. These may include: intracerebral haemorrhage, stroke (CVA), brain tumour or cancer, or sudden injury.